The professional mountain guides of the Méribel Mountain Guide Office offer you two new and original activities to improve your knowledge of the snow-covered coat, to get to know the mechanisms of avalanche triggering and to practice the rescue techniques. If you enjoy off-piste skiing (and/or ski touring) and the mountains in winter conditions, these trainings are made for you. A condensed training where we introduce you to the necessary safety gear related to off-piste skiing and ski touring. We also deal with sending the alert, as well as an avalanche-search procedure with the individual safety pack (transceiver-shovel-probe). 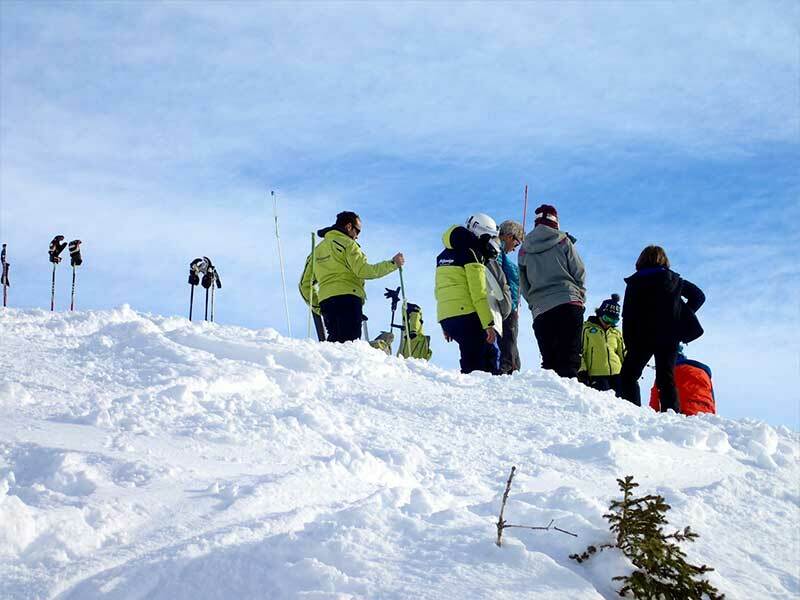 A whole day in the Méribel resort, to help you improve your rescue skills and ski in a safer manner when you’re freeriding on your own. Management of group in off-piste skiing, sending the alarm, avalanche case scenario and practice, analysing the the snow-covered coat, triggering mechanisms… an intense and meaningful day ! Your professional mountain guide will introduce you to the appropriate behavior in case of an avalanche: presentation of the safety pack (transceiver-shovel-probe), what to do, when to do it, and how to do it. A short scenario and research practice will help you learn to deal with this situation and use the gear you should always have when you go off piste. Booking is mandatory, every Tuesday of 26/12 to 17/04. Session from 5 pm till 7 pm. Min / maxi of participants: 3/8. The professional mountain guides of the Méribel Mountain Guide Office offer you an original day to get to understand the snow-covered coat, the avalanche mechanism and the related rescue techniques. If you like mountains in the winter in general and freeriding in particular, this offer is made for you ! This training day with one of our mountain guides will help you ski more safely when you’re out there on your own. 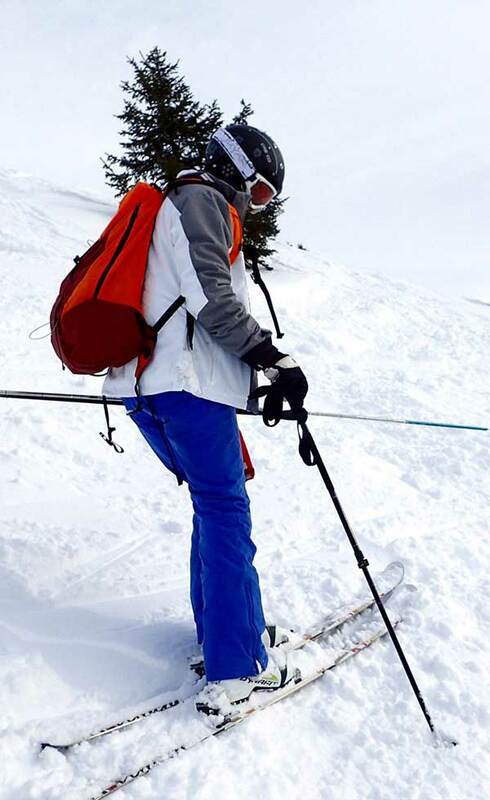 We will ski together in the Meribel valley, and explain how to ski safely in a group while going off piste. 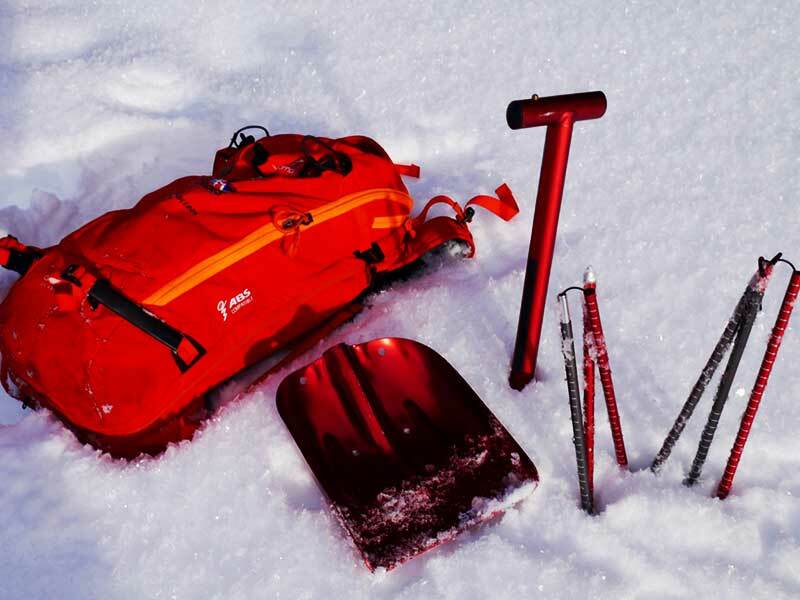 You will be introduced to the safety pack (beacon-shovel-probe), its use, but also to the structure of the snow coat through a snow profile analysis. Session from 9am to 4 pm. Meeting at 9amin front of the “Saulire Express” lift at Meribel Chaudanne. Gear: bring your ski gear, your security pack if you have one, a 30L backpack. Lunch will be either picnic or restaurant, to be determined with your guide. Price: 105€/pers from 4 people on, or 120€/pers if 3 people. Ski level required : red/black slope.